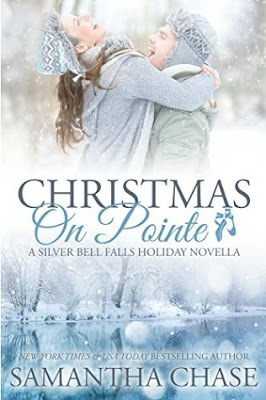 Christmas on Pointe was such a cute read! Perfect for the holidays. Abby has always been a dancer. She is back in her hometown teaching ballet at the community center and working at the diner. She has always dreamed of having her own dance studio, but she just doesn't see that that will ever happen for her. She can't afford to build a place let alone find a place in town that would work. She also has a huge crush on the town recluse, Dean. He comes into the diner every morning for breakfast and she is hopeful that one day he will notice her. One day he will talk to her besides just ordering food. Dean is the town recluse. He is a good guy, but his family, especially his sister. was a bit of a mess growing up. In the hopes of not being compared to her he tries to be perfect and eventually just stays away from people all together. 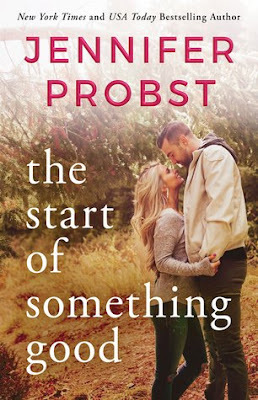 He is fine, but when his world gets turned upside down, when he has to now take care of his five-year-old niece, Maya, he has to get out into the world a bit more. He has to be part of the community again and try and figure out this single parent thing. Luckily for both of them Dean's niece wants to take dance lesson. She loves ballet and wants to be a ballerina. And Abby wants to teacher her, to help Dean, to do whatever she can for them. That is just the way she is. She always puts other people before herself. Always willing to help out when someone needs it. And she loves Dean and Maya and it was a really cute read. I loved the three of them together, I loved them trying to figure everything out. This was a really fun read and perfect for the holidays.